the EC under EC Regulations 183/2005. Our licence No. GB 402 43. Licenced to import live tropical fish. We import the finest fish foods from around the world. Many are made fresh in small batches. Our shop & hatchery houses over 300 tanks. Direct importers from South America. Search our site for the product you are looking for. 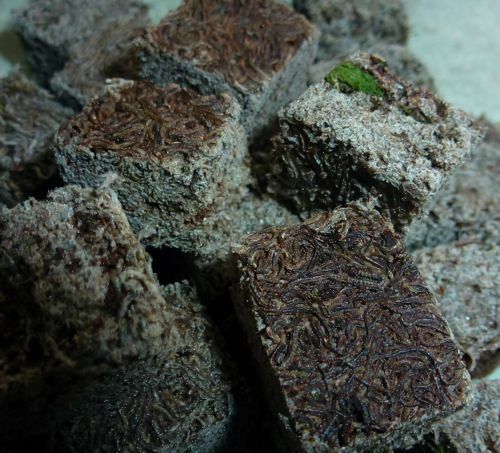 Australian Blackworm - Absolute best quality freeze dried in Natural original & Bio with natural colouring ingredients. 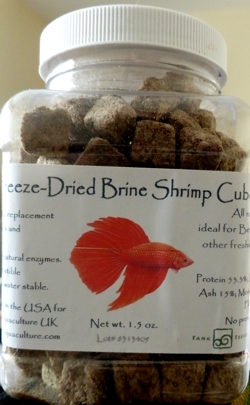 Available in cubes or loose this feed is 66% protein & really does increase growth rate in young fish requiring high protein content (not for veggies). Our Discus customers continue to place repeat orders. So popular we sell out fast. Granular Feeds - We pioneered our Astax granules many years ago as we found them fantastic especially for Killies which prefer live foods. Available in fine fry up to 1·5mm grades. Spirulina granules are used extensively on our Rift Lake Cichlids especially. Never seen 'Malawi Bloat' in any of our fish fed on this. A recent introduction is High Protein granule. This is up to 66% protein in the finer grades & along with Blackworm increases growth rate. Ideal to feed young fish especially. All our granular feeds are great value for money. Sticks - Virtually all our sticks are made in the USA fresh to order in small batches. It was hard to get these in initially as the producer only supplies to people recommended to him. All sticks are made with good ingredients. No artificial stuff or rubbish to bulk the mix up. Balance of diets made in the UK & high quality. We don't sell cheap Chinese imported sticks. You get what you pay for as they say. Flakes - Again, mostly made in the USA from the best ingredients. Our Spirulina flake is made in the EC as we consider this the best on the market. Out basic Tropical flake is also made in the EC & we consider this the best you can get. Smells fantastic. Very good value for money. We sell hundreds of kilos of it. 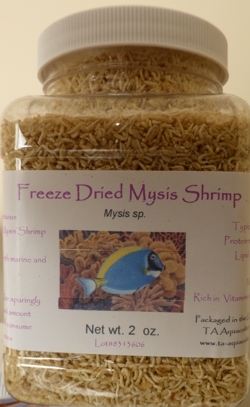 Brine Shrimp Eggs - Our Russian packs have been popular for many years. Good hatch rate & cheaper than the US Salt Lake type. We also stock a Premium grade in 100g pots which is on at a special price & proving very popular. We should shortly have Lake Bohai cysts in from China again. These are deeper orange & slightly larger than the Russian cysts. Very good hatch rate. De-capsulated still goes out. We have supplied hundreds of kilos of this over the years. Dainichi - We were selling this many years ago. 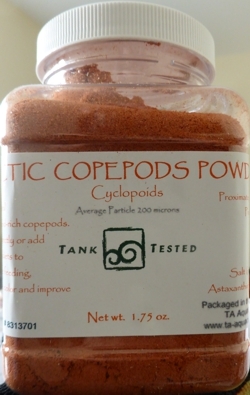 One of the best range of Cichlid foods in the world. Rift Lake Cichlids & catfish do really well on it. Not cheap to import but we went mad & brought it in again much to the delight of customers who have been trying to find it. 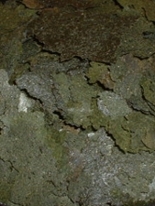 Diets cover omnivore to veggie fish with colour diets that work. Loads of videos on Youtube to check out. 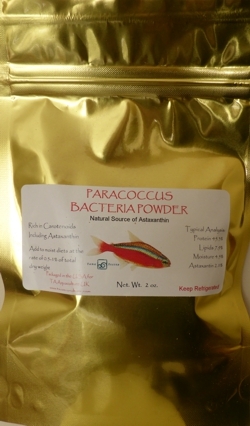 We also stock the relatively new Discus diet & a basic tropical diet too. Up to now we have been posting out to EC customers via the shopping cart postal rates as for UK customers. Following recent price increases for overseas mail this has made it impossible for us to continue this. As from now all orders outside the UK will need to be weighed to work out postal cost. All orders can be sent tracked if requested. You can get an idea of costs on the Parcelforce website. For orders outside the UK please e-mail us before placing your order. We constantly update this website. Changes may not always show if you have downloaded the site previously. It's a good idea to reload or refresh the site each visit. Also deleting your cache history will clean away old versions of this site. We are registered to pack animal feeds under Article 18 (3) of the EC Feed Hygiene Regulation (183/2005). Government bodies & a lot of the UK/EC's best fish breeders..
Join us on our Facebook group page . This is where breeders can talk about fish they are breeding & anything relating to fishkeeping. This will open up on the facebook site. Click your back button to return to this site. Please note this is just a guide. Paypal may exchange at a slightly different rate. Parcels will be sent via the best service available according to weight. If you require guaranteed and insured delivery for higher weights please contact us. Package not delivered - On rare occasions packages are not delivered. This can be due to the postman being unable to get the package/box through the letter box or the customer is not there to receive it. They should leave a card to say it is in the local sorting office for collection or with a neighbor. On occaisions they may not leave a card. In virtually all cases of non delivery this is the case. All items posted are now tracked so we can see where the package is. We do not re-send orders until at least 15 days have elapsed from our posting. If you have not received your order within a reasonable time please let us know. Please DO NOT raise a dispute with Paypal. Overseas parcels require an extra charge depending on weight. Please e-mail us. This includes Ireland (not Northern Ireland).